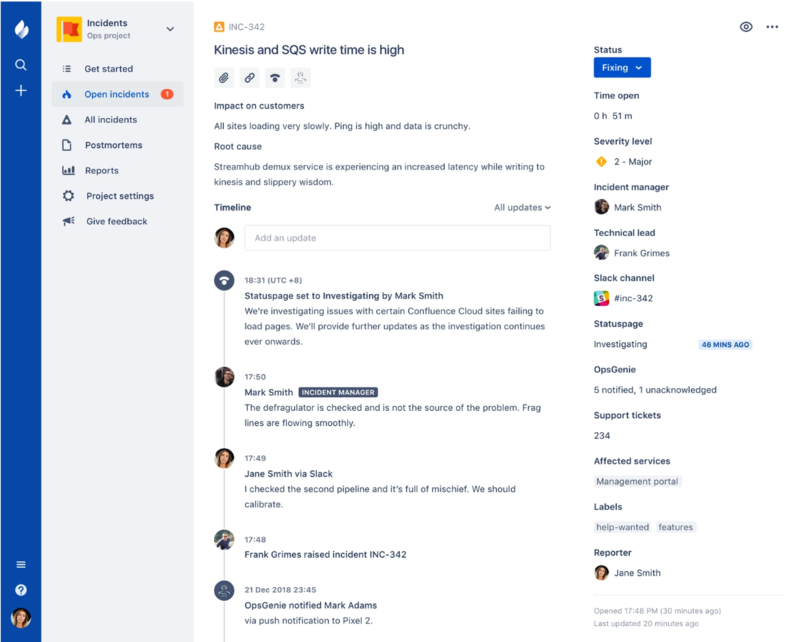 Atlassian today announced the first beta of a new edition of its flagship Jira project and issue tracking tool that is meant to help ops teams handle incidents faster and more efficiently. Jira Ops integrates with tools like OpsGenie, PagerDuty, xMatters, Statuspage, Slack and others. Many teams already use these tools when their services go down, but Atlassian argues that most companies currently use a rather ad hoc approach to working with them. Jira Ops aims to be the glue that keeps everybody on the same page and provides visibility into ongoing incidents. This is obviously not the first time Atlassian is using Jira to branch out from its core developer audience. Jira Service Desk and Jira Core, for example, aim at a far broader audience. Ops, however, goes after a very specific vertical. “Service Desk was the first step,” Jens Schumacher, Head of Software Teams at Atlassian, told me. And we were looking at what are the other verticals that we can attack with Jira.” Schumacher also noted that Atlassian built a lot of tools for its internal ops teams over the years to glue together all the different pieces that are necessary to track and manage incidents. With Jira Ops, the company is essentially turning its own playbook into a product. Unlike some of Atlassian’s other products, the company doesn’t currently have any plans to launch a self-hosted version of Jira Ops. The argument here is pretty straightforward: if your infrastructure goes down, then Jira Opes could also go do down — and then you don’t have a tool for managing that downtime. Jira Ops is now available for free for early access beta users. The company expects to launch version 1.0 in early 2019. By then Atlassian will surely also have figured out a pricing plan, something it didn’t announce today.